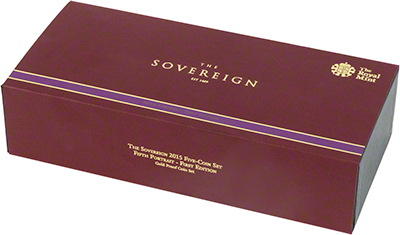 This is the 2015 fifth portrait sovereign set. For the fourth portrait set see here. 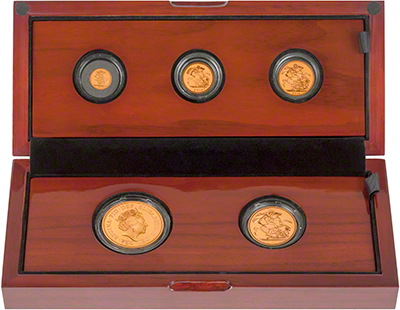 The 5 coin sovereign set contains a quarter, half and full sovereign, as well as a £2 and a £5 coin. We received our first delivery on 26th March, 2015. When compared to the Royal Mint price of £2,700.00 you will make a saving of £100.00 per item when ordering from us. For the first time in over 100 years, there are two designs for the 2015 sovereign. 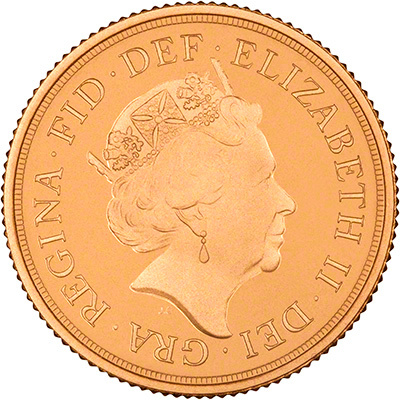 The early coins feature the fourth portrait of the Queen, by Ian Rank-Broadley, whilst later coins feature the fifth portrait, by Jody Clark on the obverse. 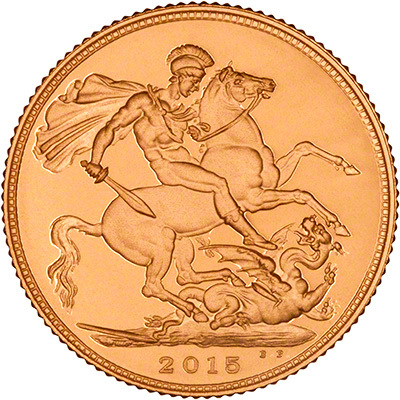 The reverse features the famous St George and the dragon design, by Benedetto Pistrucci. The set is issued in a limited presentation of 500. *AGW = Actual intrinsic gold weight in troy ounces. More information about British gold sets is available on our British Gold Sets Information page. You may wish to use our order form.